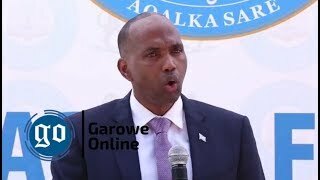 MOGADISHU, Somalia - The National Intelligence and Security Agency [NISA] of Somalia faces the toughest time in its history after two of the top officials suspended last week, Garowe Online reports. Sources said soldiers from NISA broke into the office of the spy agency's first deputy director, Abdalla Abdalla Mohamed, who was suspended last Monday, 16th, destroying computers and tearing down important documents. 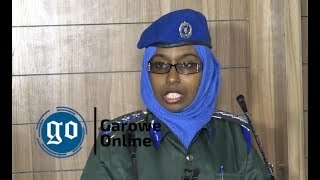 The raid on Mohamed's office which is located inside the KM-0 or Habar-Khadija facility, one of the most protected buildings in Mogadishu took place last Thursday night, according to sources within NISA. It's not yet clear the motive behind the move, but, insiders revealed to Garowe Online that NISA director, Hussein Osman Hussein, who is now on an overseas trip has given the order of the assault on his deputy's office. Graphic pictures posted on social media showed dismantled desktop computers and documents littered on the ground of the office in what security analysts described 'unprecedented rift' in the secret agency. The incident has raised more questions, including who was behind? who can storm such office in an extremely guarded compound? are there any highly classified documents missing after the raid? and why Hussein did not clarify the reason behind the suspension of his two deputies. 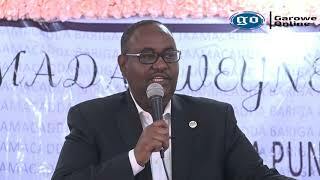 Mohamed and the second deputy director, Abdulkadir Mohamed Nur Jama were retrieved from duties in the same statement dated July 16 which was seen by GO, without further details of the suspension. Conflicting reports emerged over the decision that was announced a day after twin car bombs and the gun attack took place at the main gate of the Presidential Palace in Mogadishu, killing at least 20 people. The deadly attack by Al-Shabaab extremist group occurred hours after Somali president, Mohamed Abdullahi Farmajo left the State House and headed to Aden Adde Airport for a trip to Brussels. The Sources added that corruption has led to the suspension of both Mohamed and Jama with some reports say it is linked to the latest terrorist attack in the capital, especially the entrance of Villa Somalia. The U.S. backed Intelligence agency has been re-established during the last Somali governments when the Horn of Africa country was on the path to recovery after decades-long bloody civil war and conflict. NISA has come through several stages and became stronger in the past few years with its personnel growing in number, including former Al-Shabab members registered after defecting to the government. During last Transitional Federal Government, NISA received a large number of servicemen recruited from the collapsed Islamic Court of Union as the president Sheikh Sharif was himself from the Islamist group. As the Agency continues to progress, a new President, Hassan Sheikh Mohamud came to power in 2012 following the first election to be held in Mogadishu since the former military regime was ousted in 1991. Mohamud, who allegedly belonged to the Damul-Jadid party served the 8th President between 2012-2016. During his term, the spy agency got again more new personnel, some promoted to high-ranking. NISA has until is now being used by top Government leaders as a tool to silence the critics in Mogadishu. Last December, soldiers raided the house of ex-minister, Abdirahman Abdishakur, killing 5 bodyguards. 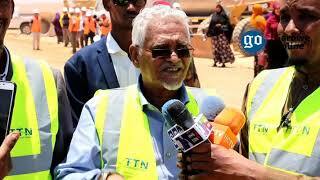 Mohamed joined NISA from Damul-Jadid during Hassan Sheikh administration. He lived in Yemen for years after the civil war broke out and moved to Saudi Arabia, where he received Intelligence training. Jama is principally different. 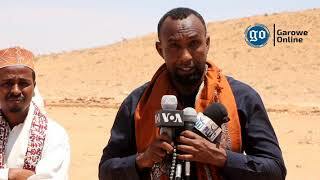 He once became a member of Al-Shabab's Intelligence wing known as "Amniyat" before his defection from the terror group to the last Somali Government and joined NISA. 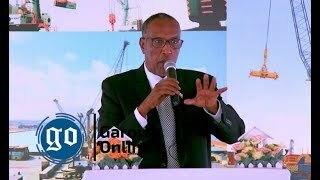 Prior to his post as second deputy director of the Agency, he has served during Hassan Sheikh's term as a diplomat at Somali embassy in Turkey as Abdullahi Mohamed Ali [Sanbalolshe] was the Ambassador. After Sanbalolshe sacked from the Ambassador position and subsequently appointed as NISA chief, Jama returned home from Turkey too to be named as his deputy, one of the highest ranks in the agency. Despite losing his boss who was fired after a massive truck bombing in Mogadishu has killed more than 500 people, Jama stayed in office and he became the acting NISA director until Hussein's appointment. Many, including the opposition figures, believe that Al-Shabab has infiltrated into NISA and other Somali security agencies to gain access to the information and carry out high-profile attacks in the capital. A countless number of NISA members are said to be from Al-Shabab group and serving as undercover agents with an aim to identify militants mixed among the ordinary population. The current Internal Security Minister, Mohamed Abukar Islow has recently announced that at least 30 soldiers and senior officials were apprehended following Al-Shabab attack on Interior Ministry building. They have been detained on suspicion of facilitating the raid on Otto Otto, a compound in a heavily fortified zone in Mogadishu, close to the Parliament House which house the Security and Interior Ministries. The attack was carried out by armed Al-Shabab militants wearing army uniforms and riding in a vehicle amidst tight security measures imposed on the seaside city with additional checkpoints set up on the roads. After suspending his two deputies, and went abroad for an undisclosed trip, Hussein has appointed Abdullahi Aden Kulane on July 19 as acting Director of NISA to run his office. Kulane who is a little-known figure in the country's spy agency and has no any previous background of the Intelligence affairs has in the past served as Deputy Chief of Staff at Villa Somalia for months before the appointment of Fahad Yasin, a former Islamist and Al-Jazeera Arabic Language journalist. He is a Somali-American and close relative of President Farmajo. Since Farmajo's election in February 2017, his team [PM Hassan Ali Khaire and Fahad Yasin] have worked hard to transform NISA and improve their Influence in the powerful U.S.-funded Intelligence Agency based in Mogadishu. This struggle between the trio over the change that each wants to see in NISA has led to confusion and disorder in the Agency as it got two chiefs in less than two years period. Serving one's interest has caused failure as NISA faces numerous challenges in delivering the Intelligence Service to protect the nation's security under Al-Shabab threat.